Home » Thank You to Our Donors! Thank you so much for your support and belief in our mission. Here is a brief summary of our 2018 programming and number of people served. Your donation changed lives and we want you to know how much you are appreciated. 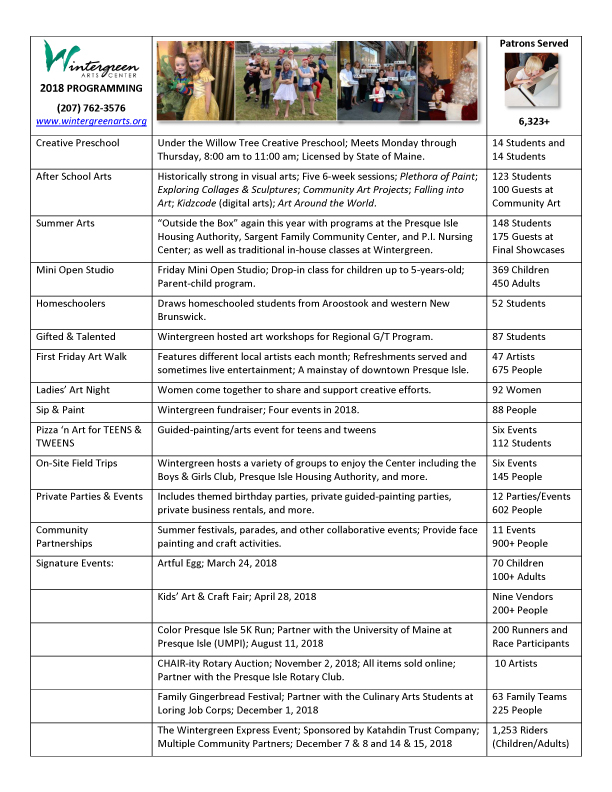 If you have questions, or need help getting more involved at Wintergreen, please give us a call (207) 762-3576 or send us a message at wintergreenarts@gmail.com.